Recap: Hawks at Wizards: Hawks benefit from 18 Wizards’ turnovers, win 122-101. John Wall and Marcin Gortat each missed a dunk towards the end of the fourth quarter. That epitomized the Wizards’ second half as the Hawks would blow the Wizards out, 122-101. This one didn’t start out poorly. The Wizards took an early 25-15 lead at the 2:30 mark of the first quarter on some nice shooting from Morris and five first quarter assists from John Wall. But when Wall left the floor, so did the Wizards’ offense. The Wizards scored just three points the rest of the first quarter and were outscored 20-7 in the five minute span while Wall was on the bench. The Wizards were able to regain the lead and ended the half strong on a 7-0 run behind a corner three-pointer from Marcus Thornton to put the Wizards up 56-52 at halftime. Dennis Schroder had his way in the third quarter. Schroder was able to get in the paint, found open teammates for easy buckets, and finished at the hole as the Hawks took a 81-75 lead into the fourth quarter. Kyle Korver hit a three-pointer to start the fourth quarter and that’s when the onslaught started. The Hawks would shoot 7-9 from three-point range in the fourth quarter and outscore the Wizards 41-26 in the period. Randy Wittman would empty the bench with about 2:30 to play as the Wizards win streak is halted at five. Wizards struggle without Wall: I know I’m stating the obvious but this was very apparent tonight, especially in the first half. The Wizards led 25-15 at the 2:30 mark when Sessions checked in for Wall. 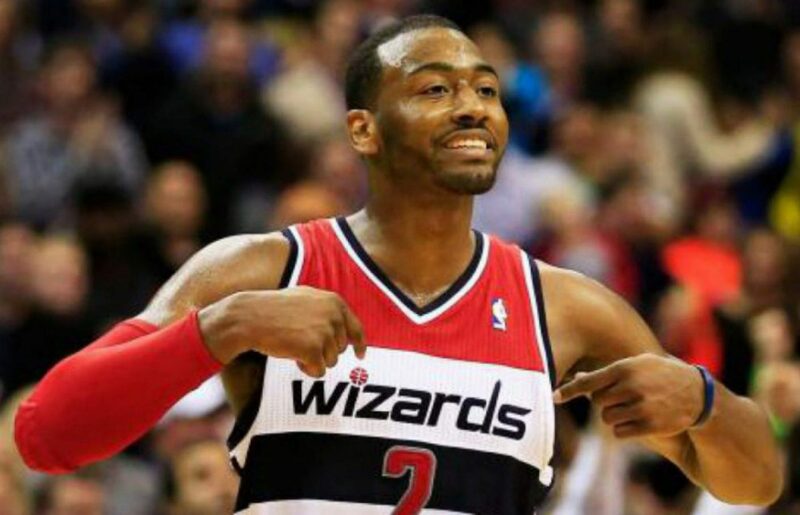 Wall checked back in with just over seven minutes to play in the second quarter but the Wizards trailed 31-28. The Wizards got outscored 20-7 during that timespan and went just 3-14 from the field while Wall was sitting on the bench. The offense slowed down as the Wizards couldn’t get out in transition, the ball stopped moving, and the Wizards couldn’t hit any of their open shots. The Wizards managed to score just 12 points for the game without Wall on the floor (not including garbage time). Wizards have issues guarding the three-point line: The Hawks shot an impressive 17-42 from three-point range including 7-9 in the fourth quarter. Korver, Horford, Hardaway Jr. and Scott all got hot from three-point range in the fourth quarter as the blowout was in full effect. The Wizards played poor three-point defense resulting in several wide-open looks for Atlanta. Turnovers, Turnovers, Turnovers: The Wizards committed an unacceptable 18 turnovers resulting in 25 Atlanta points. Wall committed seven of those turnovers, five solely due to lack of focus. Midway through the third quarter, Wall went behind his back in traffic only to lose the ball. On the next possession he got a bit too cute trying to cross over Paul Milsap who picked his pocket. Compound that with a forced bounce pass through three defenders and an inbounds pass bouncing off his knee. The Wizards were able to get past the Bulls and 76ers with Wall committing 7+ turnovers but not tonight. Every game from here on out is essentially a playoff game so these seven turnover games have to stop ASAP. Previous postWall and Beal combine for 52 as Wizards beat Hawks, 117-102.